Earners of this badge will have knowledge that covers topics ranging from recruitment, elicitation protocol design, different elicitation techniques (e.g., individual elicitations, Delphi method, nominal group technique, etc.) to aggregation methods for combining opinions of multiple individuals. Also knowledge of of judgment elicitation and its limitations, problems, and risks in policy analysis. Attend the SRA 2018 Annual Meeting. 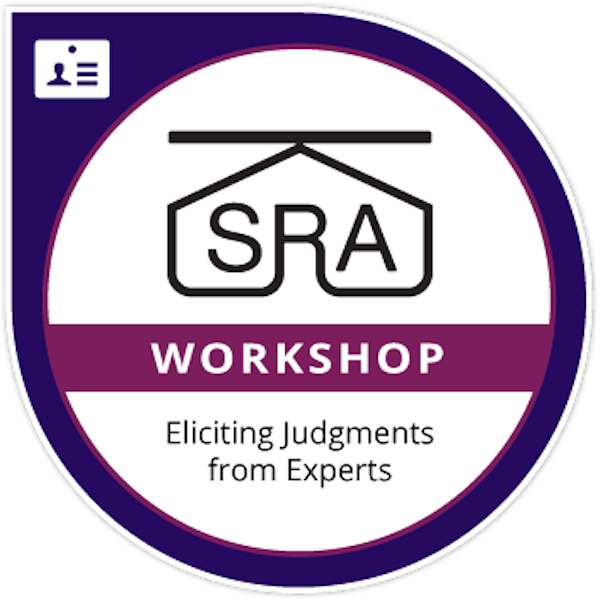 Attend the SRA 2018 Eliciting Judgments from Experts and Non-experts to Inform Decision-making workshop.